Reporting for VentureBeat, seasoned smartphone leaker Evan Blass (@evleaks) published a marketing image for the upcoming Moto G5S Plus. This is a "special edition" variant of the Moto G5 Plus from earlier this year. The reported changes can be summed as cosmetic – the phone is now made of aluminum – and technological. A dual camera (two 13MP sensors, one color, and one monochromatic) has been added, the front camera has been upgraded to 8MP (from 5MP), and the display has been enlarged to 5.5 inches by diagonal. The smartphone also grows slightly bigger than the original. In comparison, the Moto G5 Plus has a plastic body, a single 12MP rear camera, and a 5.2-inch screen. According to Blass, the new dual camera enables features like bokeh, background replacement, and selective black-and-white filtering. This will let more of your photographic imagination run wild! These specifics aside, the hardware remains the same. The screen resolution stays at 1080 x 1920 pixels, while the smartphone is powered by the Qualcomm Snapdragon 625 chipset with up to 4GB of RAM and 64GB of built-in storage. This is more than enough for comfortable everyday use, although heavyweight 3D games might not run as smoothly or look as sharp as they would on a premium handset. 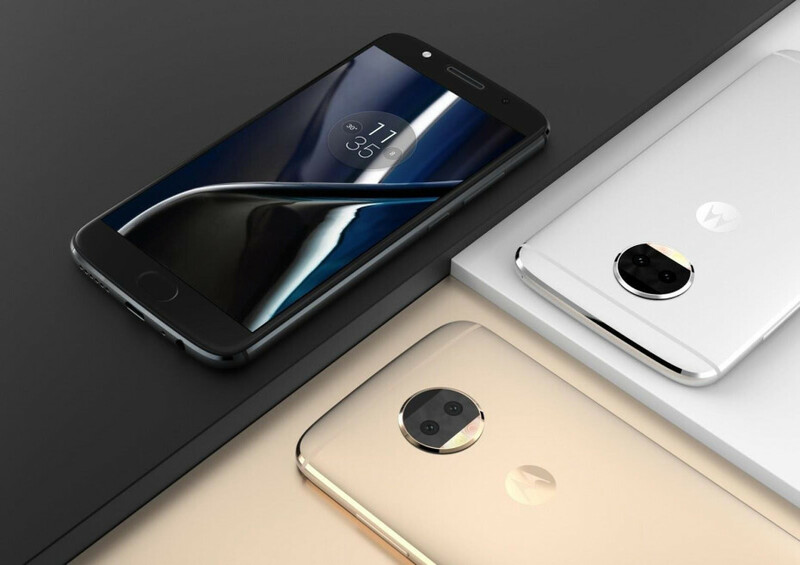 Given all the detailed information available, and the presence of marketing materials & live photos, the Moto G5S Plus looks like it could be announced very soon. Moto has an event scheduled for July 25 in New York, where the Moto Z2 Force and Moto X4 could be the stars of the show. Would it be too much trouble to give the Moto G5S and G5S Plus a bit of screen time? No way to know. We'll have to see in the weeks ahead. Looks great. Now price it at $350 for 4Gb RAM variant. After Lenovo acquisition (like after the X series), this brand became very uninteresting. Well, it is kind of an S iteration. Similar to Sony XZs, same CPU as the last gen, different camera, slight design overhaul. Yea, getting to be a bit confusing with all the variants Moto is pushing out. I want full "Motorola" name on smartphone and wish for "Motorola" boot animation on phone, not "Lenovo" animation.